You might have noticed that I haven't been around for a few weeks. I haven't really got any excuses - I just wanted some time away from things really. I've been feeling quite under the weather and tired and weary recently so most of my days have been spent snuggled in bed watching films. My pain has been pretty easy to deal with - the odd twinges here and there but nothing too bad. I've still been trying to deal with these headaches though. It doesn't matter what I do, I just can't get rid of them. Last Wednesday I decided to stop taking my Tramadol. I wondered if it would help my headaches to give myself a bit of time away from them and also I wanted to see what my pain was actually like - I didn't think it was bad enough to warrant Tramadol at that time and thought Paracetamol would be fine. It's not the first time that I haven't taken them - but previously it's only been the odd day here and there. What happened next, well, I just hadn't thought of at all and by Friday it became clear that I was suffering very badly with withdrawal from the tablets and it wasn't getting any better. I'd noticed on the Wednesday that I was extremely teary, and was feeling like I had been before starting on my Citalopram. I couldn't sleep either that night and then it was the same on the Thursday except the night time was just an absolutely horrible, horrible night. I couldn't sleep because I was getting terrible muscle spasms in my left arm and down my left side. They were so bad I couldn't stay still and they were making me feel sick. I couldn't even really explain what it felt like - it felt like pins and needles but it wasn't, and it felt numb and prickly, and strange. My head was a whirl of anxiety, paranoia, depression, aches and clouds... At one point, I just lay there thinking this was it, I was dying. Every time I fell asleep, I'd wake straight back up with these feelings again. My tummy was a bit upset, I was getting ridiculously bad hot flushes and I felt, well, wired! It was a very long night. I didn't know what was wrong but we had to go out on Friday morning and the spasms seemed to calm a little. I could still feel it in my hand but I thought it would just go away. I thought I had an infection or a slight cold because my throat was a bit sore and my head was cloudy so I started taking some cold and flu tablets. Anyway, Friday afternoon came around and since I hadn't had any sleep I climbed back in to bed, but I couldn't settle because the 'spasmy things' were getting worse again. I couldn't keep still and at one point was rocking backwards and forwards, smacking myself! I ended up calling my mum to see if she could suggest anything and it was only by chance that she had asked if I thought it might be my tablets causing the problems and I told her then that I had only been on Paracetamol since stopping my Tramadol on Wednesday... And then it all became clear: I was going through a state of withdrawal! I quickly Googled 'Tramadol withdrawal' and everything I read explained exactly how I was feeling. I started back on the tablets that evening (after my mum went back home to fetch them for me as I was at the boys house and he was at his works Christmas do!) and within a few hours I started to feel some relief. It took until Sunday though to get fully over it. It was horrible but it's made me realise how dependent I am on these tablets now and how much it's going to take to safely get off them. It's scary but it could have been much worse and thankfully, I now know that I cannot just come off them - I'm going to have to see the doctor and reduce my intake gradually. I'm just glad I had stayed on my Paracetamol else the effects of the withdrawal would have been much more severe.... I'm never going cold turkey again! My period started on Sunday, a day late this month and it's done the same as last month again. I had a bit of a show Sunday and then nothing since then. Now it's just a waiting game to see what happens with it but my tummy has been hurting a bit more today and I have terrible back and shoulder pains. My hip area is still hurting a lot too but I'm just putting it down to something catching like a new or bigger cyst now. I've been very down about the whole baby thing again. I try not to think about it too much but sometimes it just manages to get through and then I can't control my emotions. It's always worse around this time of the month too, realising that yet again, my body has failed us. I've stopped going on Facebook too because my feed seems to be full of babies, so now I'm managing my page through this new app. I don't think I'm missing anything! It's now less than 1 month until my surgery and I'm holding my hopes so high that this will work. I don't know if it will work, if my pains will diminish enough for me to return to work and driving and leaving the house on a regular basis. I don't know if it will enable me to have a child. I don't know if it will clear out my endometriosis for good. I don't even know yet what the next steps are after the surgery. I just have to focus on the surgery, get past that and keep positive that it's going to get me back on the right path. December is a busy month anyway this year so I have lots to keep my mind and body busy. I've been to two concerts recently, Alanis Morissette and Mumford and Sons (both incredible! ), and we've been very busy getting our Christmas shopping finished. Tomorrow I'm having a girly day with my Loulabelle, shopping and warming ourselves with hot coffees. It's my birthday on Saturday and I can't wait because this year we are off to London for a long weekend! I'm so excited but I have so much to do before then - finishing off blog work and getting caught up from my weeks away, wrapping presents, washing and ironing and packing... Phew! At least getting away means I can't hide and cry about my impending old age! I had a letter through last week from the DWP and I'm being reassessed for my benefits - already! So I've had to complete yet another 20 page questionnaire on my illness and situation. I may have to go for another medical assessment and I don't know if my benefits will continue. I just have to wait and see on that one. What a stress! I think that's pretty much all my news... Oh, I've had my hair chopped off too! 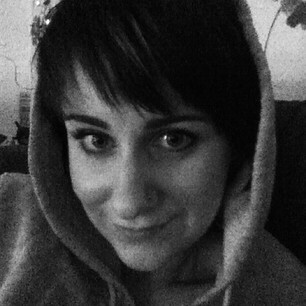 I fancied a bit of a change so I've had a bit of a pixie cut on it! I'll get some proper photos soon but if you follow me on Instagram you may have already seen the photo I took just after having had it done. Anyway, think that's me done... I should really go and get started on this packing. Or wrapping... Ugh.